Sometimes, you get sequels that enrich the original film while furthering the ideas put forth by its predecessor. Sometimes, you get a sequel that spends its first half with flashbacks of the first film. Silent Night, Deadly Night Part 2 is the latter. After seeing his brother gunned down on Christmas, Ricky Caldwell (Eric Freeman, Children of the Corn) begins to display the same disturbed behavior that Billy had. As he is interviewed by Dr. Henry Bloom (James L. Newman, Flags of Our Fathers, Evan Almighty), Ricky describes the events that led him to a psychiatric hospital, all the while displaying his anger towards Mother Superior (Jean Miller) for her involvement in Ricky’s descent into madness. This film makes absolutely no sense and nothing actually happens. There are plot holes galore, like the fact that Ricky is just able to walk out the front door of his asylum unnoticed. Eric Freeman’s performance is nails on a chalkboard. He says his lines in the same monotone voice that would drive anyone he speaks with to a mental institution themselves. 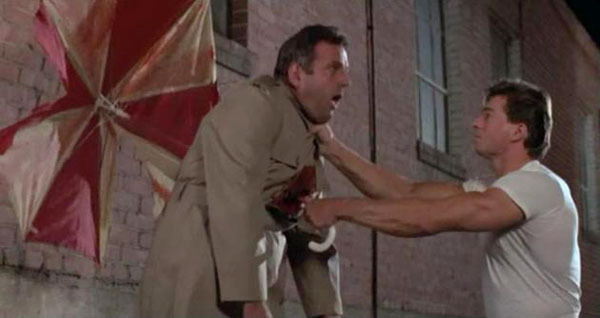 Beyond getting himself immortalized in a Youtube video forever, Freeman cannot act himself through the framing device of the film’s first half. He might have Voice Immodulation, so I guess I can’t blame him. No wait, yes I can. Elizabeth Kaitan (Twins, Spy Hard) is another such actress, but she holds up slightly better in other movies, barely. We know why she is here, though. She shows up. She gets naked. She gets murdered. Standard Elizabeth Kaitan performance. The trouble started with a poor original film for a sequel, followed by a low budget and a bad screenplay. They continue on with more blandness until your finished project is so bad that a drinking game was invented to get through it. DRINKING GAME: Drink every time Ricky adjusts his eyebrows. Drink responsibly, though, folks. He does this at least 100 times in the film. You have been warned. 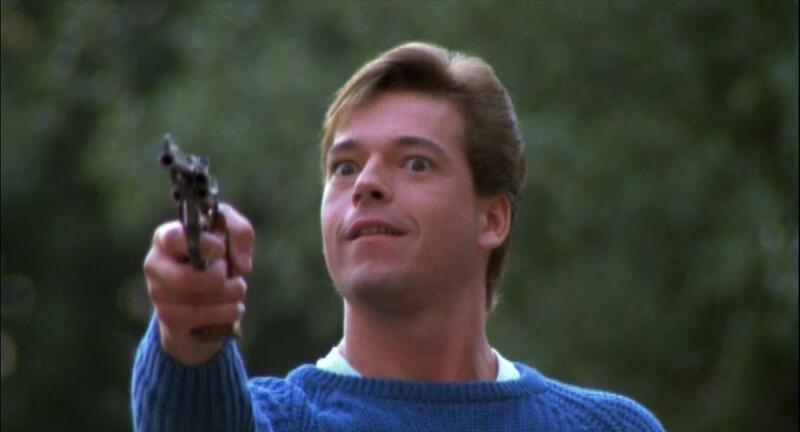 Silent Night, Deadly Night Part 2 is just plain garbage. There you go. 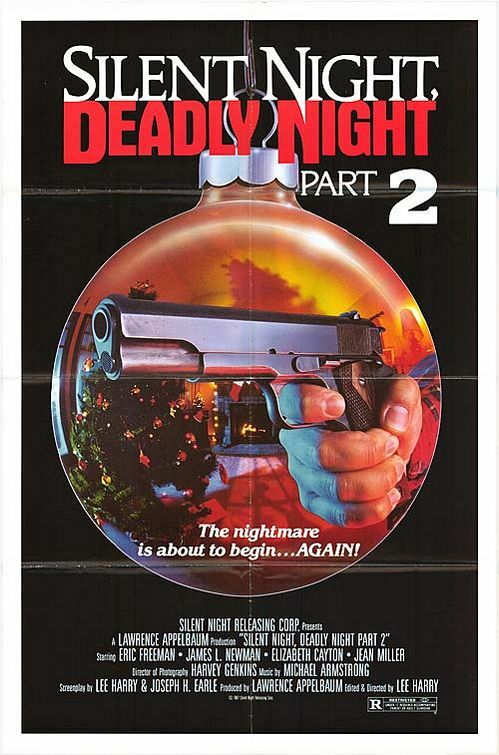 For my review of Silent Night, Deadly Night, click here.